Frequency XCEL Toric XR lenses by CooperVision are designed to correct high levels of astigmatism. They are equipped with UltraSYNC technology for exceptional comfort. This economy pack includes two boxes, each containing three lenses, and a 400 ml bottle of Laim-Care solution. Frequency Xcel Toric XR are produced by CooperVision and are designed to correct high levels of astigmatism. They are a revolutionary product for people who have been dependent only on glasses until recently. 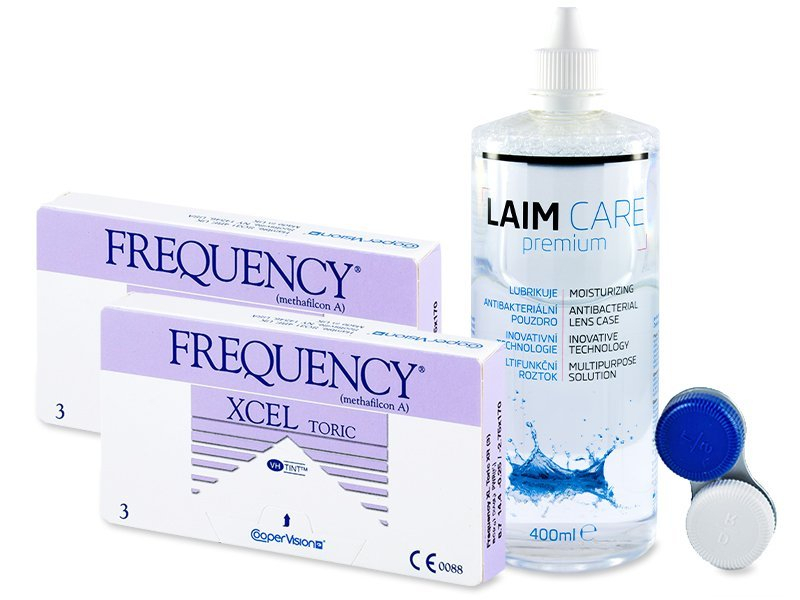 Frequency XCEL Toric XR contact lenses improve the vision of users with high cylindrical values (over –2.25). The lenses' well-designed, thin edges minimise friction for outstanding comfort.